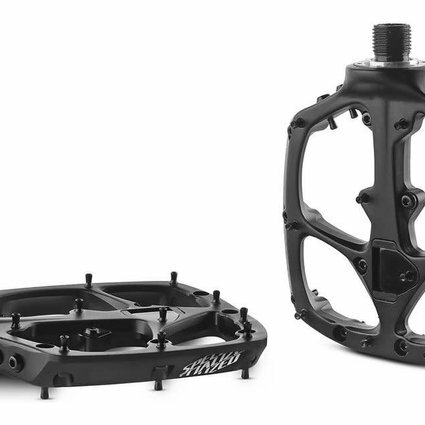 Boomslang pedals are designed to provide riders ultimate connectivity in a low profile package. Super slick, patent pending, spindle design. Super Lo-Profile design; true, 10mm thickness at center. Custom undercut pins provide “clip in” style grip and easy removal. Pedal body carriers four hidden pins for easy replacement of broken pins. 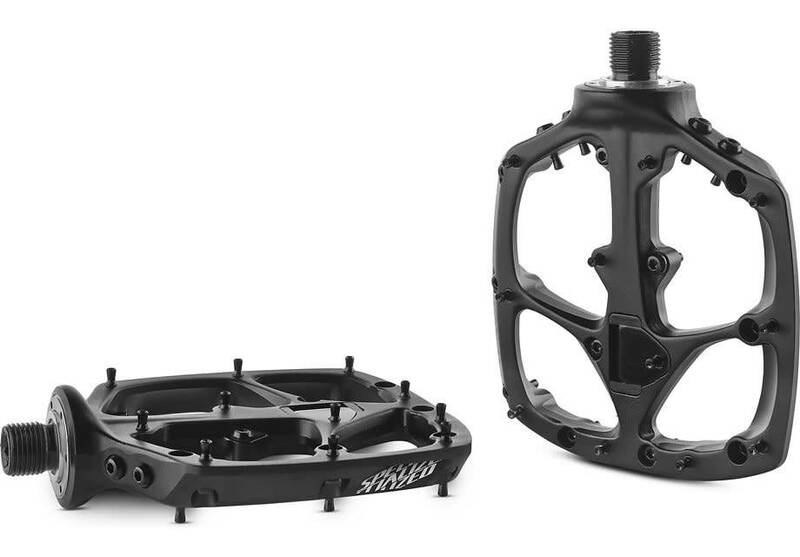 Tapered outside pedal edge for maximum grip and ground clearance.